Last October, Indiana officially implemented an increase to what truckers spend to pass through certain tolls in the Hoosier State. Commercial drivers - and their employers - were none to pleased by the move and urged lawmakers to reconsider, ultimately to no avail. Motor carriers aren't taking the situation lying down. They're bringing their grievances with the toll hikes to the courtroom. 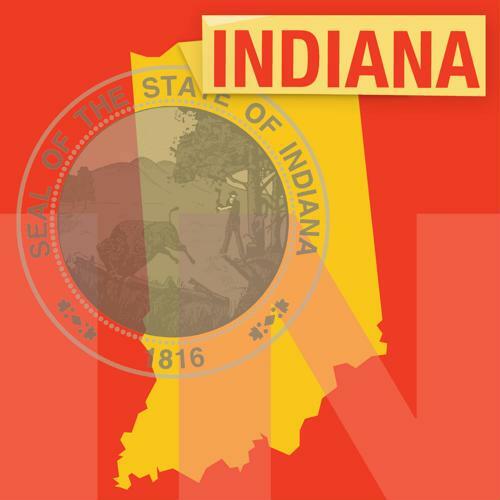 In early January, the Owner-Operator Independent Drivers Association filed a lawsuit against the Indiana Finance Authority, which is charged with issues related to taxes and debts in the Hoosier State. The ultimate goal of the class-action complaint, made official in Indianapolis Federal District Court, is to table the 35 percent increase in tolls that Class 3 truckers are forced to pay to ride on Interstates 80 and 90. Todd Spencer, OOIDA president, said the double-digit increase in tolls is unduly burdensome on commercial drivers, particularly those who work in Indiana and can't help but use I-80 and I-90 to get their jobs done. "The governor has admitted publicly that the increased tolls on truckers were intended for out-of-state users," Spencer said in a statement. "He seems to think that, in his own words, 'capturing other people's money' is OK. He would be very wrong about that. Truckers are not rolling piggy banks." This isn't the first time the OOIDA has taken umbrage with the toll hike. The trade association's frustration traces back several months and were encapsulated in a letter written to Gov. Eric Holcomb. The missive noted that should the 35 percent increase be implemented as constituted - which it already has - 5-axle trucks would have no other choice but to pay $60 each time they used the highway. That's the equivalent of 38 cents per mile. The letter also highlighted the fact that given Indiana is one of the most expensive states for excises taxes on diesel - fifth highest in the U.S. - the cost per mile is even greater. "Collectively (i.e. tolls and diesel taxes), 5-axle trucks will pay more than 50 cents per mile on the [Indiana Toll Road]," Spencer wrote in the letter sent Sept. 19. Known as "The Crossroads of America," Indiana is a major thoroughfare for commercial truckers. In addition to Interstates 80 and 90, there are at least 12 other interstates that span the state, mostly running from east to west. Drivers will often take these roads to get to other major destinations in the Midwest for delivery and pick-up purposes. The Indiana Toll Road, which includes I-80 and I-90, spans approximately 157 miles and is situated between the Ohio Turnpike and Chicago Skyway, Overdrive reported. The Indiana Toll Road Concession Company and Indiana Finance Authority say the toll hikes are necessary to improve the state's infrastructure. Some of the money raised will go toward development and repair, according to Overdrive. Should the OOIDA's lawsuit bear fruit, the "excessive and discriminatory" toll prices, as the OOIDA describes them, would be struck down and motor carriers would be refunded the difference.